Lab Color Coordinates are commonly used in the textile industry, at the dyeing stage. At the design stage of a fabric, companies will more commonly use color catalogs, such as Pantone. It's connected to a color scheme that allows the customer to select a color with greater precision. I don't have the Lab Color Coordinates, What are my alternatives? In textile cotton or polyester, the number ends in "TCX" or "TPX"
Usually dye houses are able to achieve a color match within a CMC DE of 1,00, from a Pantone textile color, under D65 light. Therefore, you have the option of making a conversion. The difference between a paper color and a render of this color on a fabric is very high. Therefore, there is a higher risk that the color you published may have a CMC DE higher than 2.00, from its real color. This can cause a customer to possibly return an item. Is there a solution? 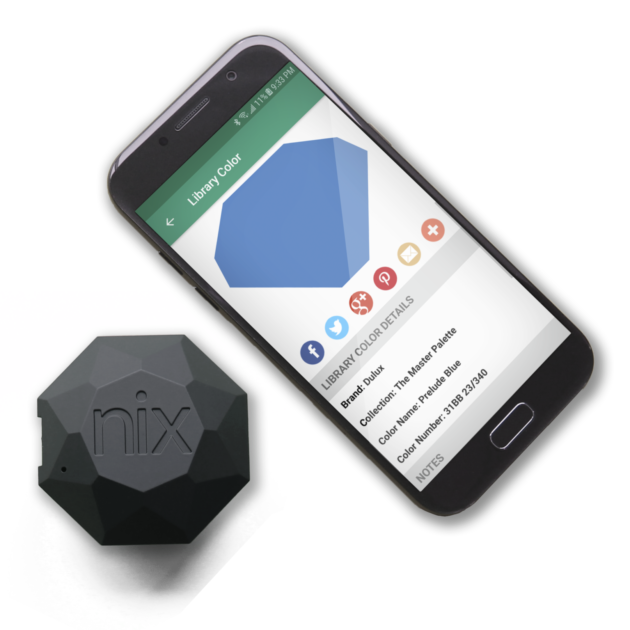 We recommend purchasing a color scan like Nix Pro (featured below). How to get precise Lab Coordinates ? The Nix Pro is a simple, practical color scanner that will allow you to scan your colors anywhere, anytime. The little faces below help us see what articles are most useful for you. Thanks for clicking on the one that best represents your satisfaction with this page.